Denver Personal Injury 101: What Are Compensatory Damages versus Punitive Damages? Home|Blog|Personal Injury|Financial Recoveries|Denver Personal Injury 101: What Are Compensatory Damages versus Punitive Damages? A Denver personal injury attorney explains the difference between compensatory and punitive damages for personal injury awards. When the victims of negligence succeed in recovering awards for their injuries and losses, this compensation can include various types of damages, depending on the nature of the negligence, the injuries sustained and other factors. In general, however, personal injury settlements can comprise two types of damages: compensatory damages and punitive damages. And understanding the difference between the two can be important setting realistic expectations when pursuing a personal injury case. They are not available in all cases – Instead, they are typically reserved for cases in which a defendant has a history of negligence or in which the negligence may have harmed a number of people (just to name a few examples). The court has the discretion to award these damages – In other words, when punitive damages should be awarded, as well as how much should be awarded, is a decision that is made by the court. 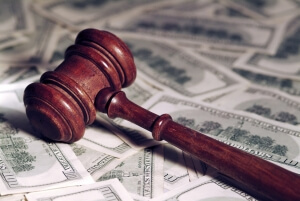 The potential for punitive damages can be important leverage for injured people – This is because defendants will usually be more willing to work out a pre-trial settlement if or when they may face the threat of having to pay punitive damages if the case goes to trial. Have More Questions? Contact a Denver Personal Injury Attorney at Bell & Pollock, P.C. If you have been injured by the negligence of another party, you can turn to a Denver personal injury attorney at Bell & Pollock, P.C. for experienced help advocating your rights and pursuing justice.